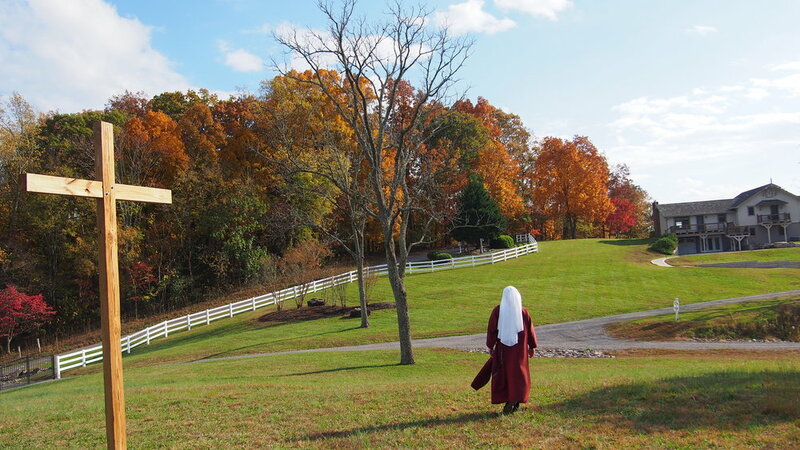 In mid-September, the normally black-and-white world of our monastery got a little splash of color - we were visited by two Handmaids of the Precious Blood, Mother Marietta and Sister Sarah Michael, prioress and sub-prioress of Cor Jesu Monastery in New Market, TN! The purpose of their visit was to meet with our superior and vicar, Mother John Mary and Sr. Mary Veronica, to dialogue and share “best practices,” resources, ideas for initial and on-going formation, and so forth. It was also a beautiful opportunity for us to encounter one another’s charisms, appreciating our similarities and enriched by our differences. 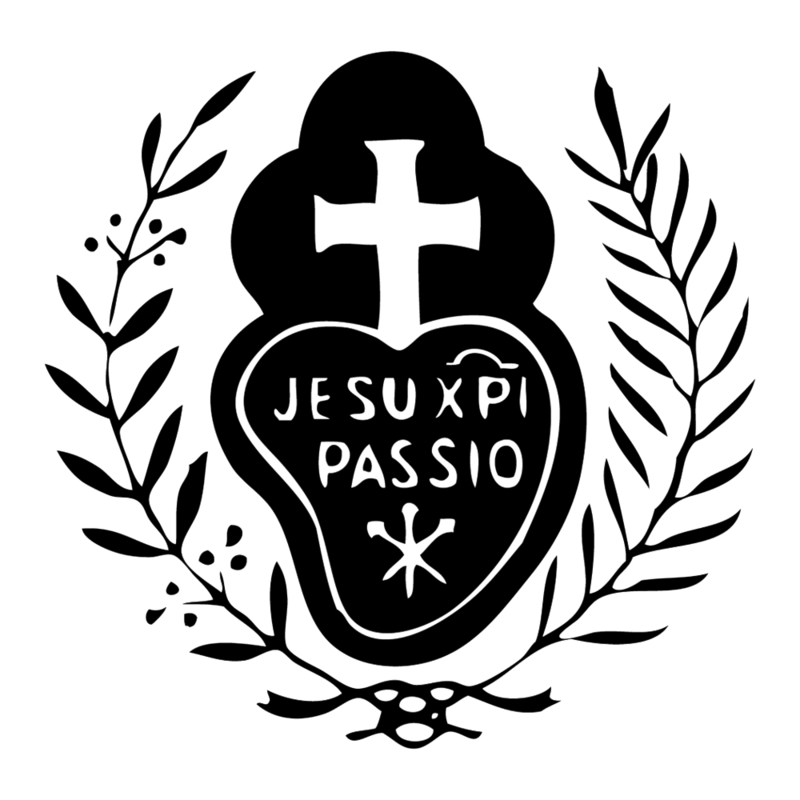 The Handmaids’ charism is one of prayer for priests, especially expressed in their devotion to Eucharistic adoration, offering the Precious Blood of Jesus to the Father to intercede for the sanctification of priests. 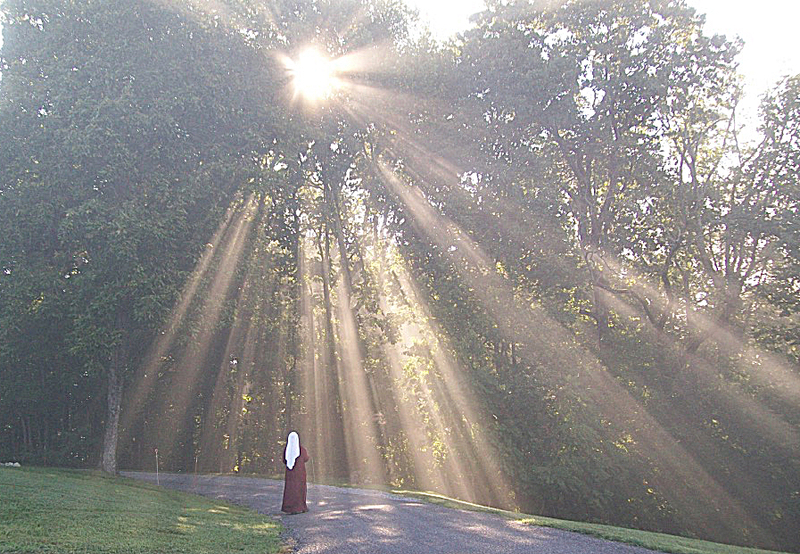 You can learn more about the Handmaids of the Precious Blood, and view more pictures of their community and lovely monastery grounds, at their website, nunsforpriests.org. Like us, they are affiliates of the Institute on Religious Life, and are also featured in the directory of cloistered communities on CloisteredLife.com.